"Brynn. My... angel. My greatest... treasure." 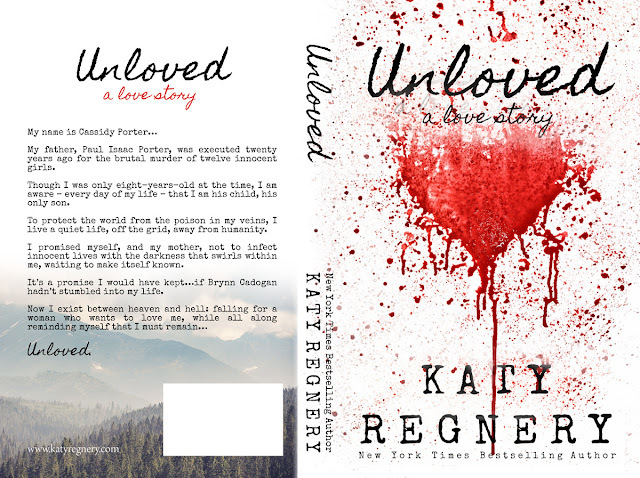 When I first saw the cover and read the blurb of Unloved I thought it was a dark romance, which is NOT the case. This is a beautiful and sometimes emotional contemporary romance. Even though this book wasn't what I expected, I still enjoyed it a lot. Both Brynn and Cassidy were great characters and the chemistry between them was amazing. My heart broke for Cassidy, he went through so much and is still fighting an invisible demon. He lives off the grid and rarely comes in contact with people. When Brynn stumbles into his life, it is obvious that he wants to stay away and not touch her with his, what he believes to be, his darkness. Brynn sees a selfless, honest, pure and beautiful person, who deserves all the love in the world. She just has to convince him of that. I absolutely LOVED the twist in this book. I totally didn't see it coming and it was a very nice surprise. It added an extra layer and fit the story so well. The emotional moments were so touching. These two characters deserve all the happiness in the world, and I just loved the development in their relationship. The writing was great, it had such a nice flow and it was very easy to read. The author also took her time to tell Brynn and Cassidy's story, so it didn't feel rushed at all. There was insta-lust/love, but it didn't bother me at all. 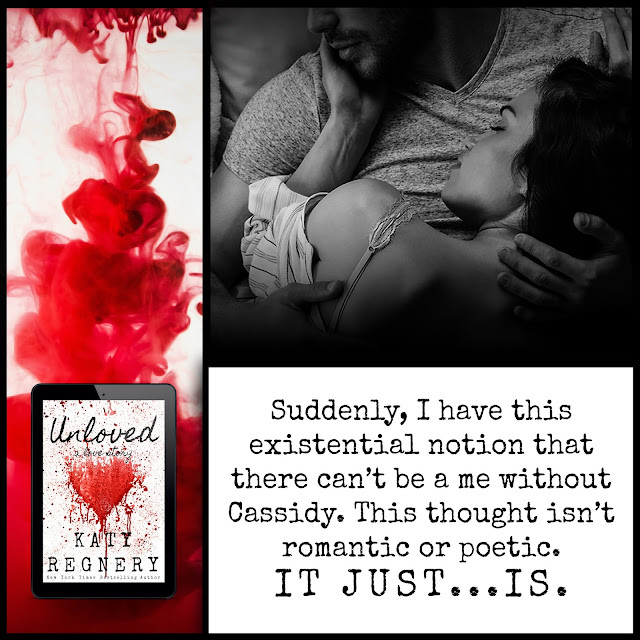 I highly recommend Unloved to readers who love beautiful contemporary romance about broken and hurt characters. 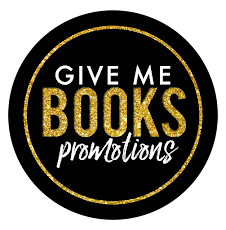 Twenty-five books later, Katy claims authorship of the multi-titled, New York Times and USA Today Blueberry Lane Series, which follows the English, Winslow, Rousseau, Story, and Ambler families of Philadelphia; the six-book, bestselling ~a modern fairytale~ series; and several other standalone novels and novellas. Katy’s first modern fairytale romance, The Vixen and the Vet, was nominated for a RITA® in 2015 and won the 2015 Kindle Book Award for romance. 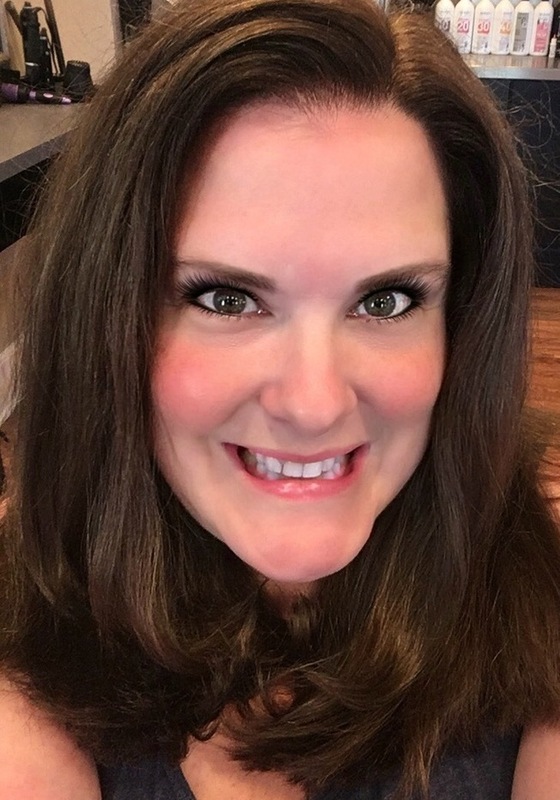 Katy’s boxed set, The English Brothers Boxed Set, Books #1–4, hit the USA Today bestseller list in 2015, and her Christmas story, Marrying Mr. English, appeared on the list a week later. In May 2016, Katy’s Blueberry Lane collection, The Winslow Brothers Boxed Set, Books #1-4, became a New York Times E-book bestseller. In 2016, Katy signed a print-only agreement with Spencerhill Press. As a result, her Blueberry Lane paperback books will now be distributed to brick and mortar bookstores all over the United States. Katy lives in the relative wilds of northern Fairfield County, Connecticut, where her writing room looks out at the woods, and her husband, two young children, two dogs, and one Blue Tonkinese kitten create just enough cheerful chaos to remind her that the very best love stories begin at home.